In the Sharing Session of HR Competency Development in Electrical and Energy Management in the Power Plant Industry, Deputy Minister of ESDM Arcandra Tahar invited the Independent Power Producer (IPP), who was the participant of the Sharing Session, to utilize the ESDM BPSDM LSP and LSK to print people who have competencies in the field of electricity and education safety. "Use our BPSDM without coercion and sincerely, this institution we want to be a partner for all of you in terms of printing people who have competencies in the field of safety in electricity and education. This is not perfect yet, but if not, we start to make perfect, then who do we expect? " Arcandra said in Jakarta, Thursday (28/3). 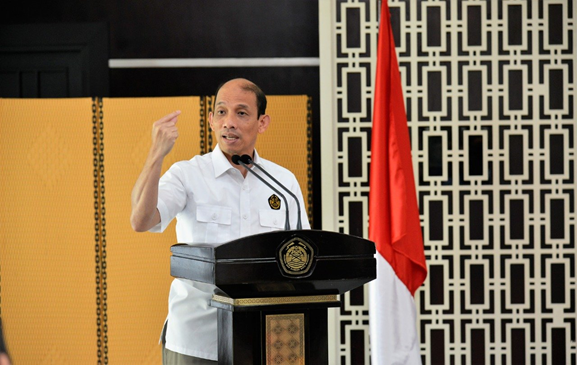 Arcandra also asked about the willingness of IPP to work together with ESDM BPSDM in improving the competence of workers. "I asked Industrialist who was present today, would not cooperate with BPSDM in terms of improving competence?" Arcandra asked. The participants also agreed to work together with ESDM BPSDM. Arcandra further explained that the certification carried out by ESDM BPSDM was national in nature, could be used throughout Indonesia. "Certification can be used throughout Indonesia. Our goal is to improve the competence of certified people in the field of electricity safety and EBTKE," he added. "Later, the people we certify will hopefully have flying hours, who can and have competencies, so that you at the IPP also feel comfortable, that the people who have been certified are truly competent," concluded Arcandra. In addition to introducing the Human Resource Electricity and EBTKE Development Center (PPSDM KEBTKE), today's Sharing Session also aims to enable IPPs to train and certify technical personnel involved in the electricity supply business in accordance with the competency standards in PPSDM KEBTKE. Besides that,IPP is also expected to train and certify auditors and energy managers within the framework of energy management through PPSDM KEBTKE. 10. PT Krakatau Daya Steel.